The alert covers reporting years 2013 to 2017. Based on the discrepancies, the OIG has concluded that the information on POTW releases included in the Agency’s publicly accessible Toxics Release Inventory (TRI) covering these dates is not accurate. The OIG states that many entities, including communities, use the TRI to determine the level of risk they are facing from toxic chemicals. When this information is not accurate, actions these entities take may not be sufficient or appropriate to address those risks. TRI is authorized by Section 313 of the Emergency Planning and Community Right-to-Know Act (EPCRA). 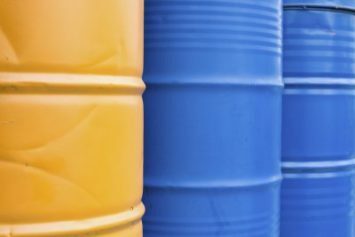 Under that section, the Agency has established rules (40 CFR Part 372) that require that each year on or before July 1, facilities in specific sectors that meet threshold requirements report how much of each TRI-listed chemical they have released to the environment and/or managed through recycling, energy recovery, and treatment. By the second week of October, the EPA takes a snapshot of the data collected, which it uses for its annual TRI National Analysis. The analysis interprets the reported information and examines trends in releases, waste management practices, and pollution prevention. The OIG says it discovered the discrepancies while conducting an audit of TRI late reporters. The OIG states that its identification of these discrepancies led to the EPA’s discovery that total release calculations provided by the publicly available database do not properly include the POTW release amounts. The effect for those who query these data, including nearby communities or worldwide researchers, is that they will not always have accurate or consistent information regarding releases of the hazardous substances from POTWs that may significantly impact human health and the environment. The alert does not specifically state whether the TRI database underreports or overreports releases by POTWs. Either circumstance may adversely affect those who act in response to the TRI report by causing them to either underrespond or overrespond to the presence of toxic substances in the environment. The alert is addressed to the Agency’s assistant administrator for chemical safety and pollution prevention. This division contains the Office of Pollution Prevention and Toxics (OPPT), which runs the TRI program. The OIG requests that within 15 days of the April 8, 2019, issuance of the alert, the assistant administrator provide a response, including actions taken to correct the identified discrepancies and plans to disclose the degree to which the discrepancies identified impact the public reporting of TRI releases.